I had heard the name of the fiction writer Salma Bani (b. 1962) much before I left Dhaka for Toronto in August 2013. Though during my Dhaka days, possibly unfortunately I did never come across any of Bani’s (Salma is mostly known as Bani than by her first name) books, I considered myself really fortunate when in Toronto a book of hers came on my hand. This fortune was possible because of the kind friendship of poet Delwar Elahi. 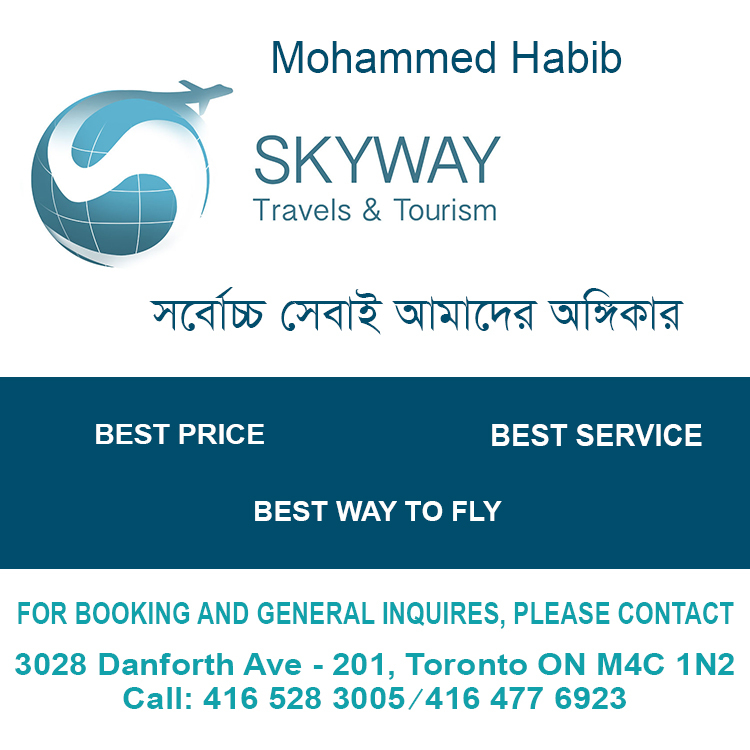 One fine morning a modest, generous and truly gentle literary figure of the Bengali community in Toronto, Delwar made me a phone call and told that they were going to organise a publication ceremony on Bani’s recently published book soon and requested me to be a discussant. Before reading the book, I had to agree because it was Delwar and such a request from him I could never decline and because it was a novel on which genre I have been working on for the last two decades. A copy of the book came to me next week. The cover, the overall production made me happy with the worry that if the 650-page Bangla-language novel ‘Immigration’ fails to draw my attention, how could I discuss on that! On the dedication page I found the name of Debesh Roy, the eminent littérateur of West Bengal and thought it was because of her personal connection with him. I had heard such connections of Debesh Roy with some younger groups have recently created much tumult among the Bangladeshi readership and above all this did not impress me. Finding the name of Debesh Roy inscribed, my mind recalled his two major novels ‘Tista Parer Brittanto’ and ‘Somoy Osomoyer Brittanto’, the novels that drew hundreds of critics and thousands of the literati not only for their king size but their realistic delineation of life in the true sense. Taking ‘Immigration’ in hand the question came in me if the writer had some salient desire in mind to present her own book on the same dish with the ones of that literary stalwart? Having a sort of anxiety, I began to leaf through the fat volume. And immediately I found myself aligned with the activities of Kabir, the protagonist of the novel. Aligned because I have come from Bangladesh only last year and I had heard hundreds of similar stories of people making many fake documents, passports and identities only to enter a country of the European or American zones. I felt a sort of affinity to the ordinary simple Bangladeshi man because it seemed to me that both of us underwent the same challenges and sufferings? The 13-page first chapter named ‘Nine Page’ tells about the background in which the writer gives very believable details how a fake passport is made for Kabir, how he passes through the airport transits, at last throwing his torn off passport in the garbage bag of the flight how Kabir declares to the immigration officer in a very cold voice, ‘I don’t have a passport’. And thus Kabir starts his refugee life in Toronto, the most lucrative city of North America for the Bengalis. As a newcomer in the North American city Toronto I have come across many hurdles during the last ten months. Though I am not a refugee, but a permanent resident right after getting down at the airport, the hurdles many a times seemed to me unbearable. While reading about Kabir, I was trying to visualize how painful the moments posed to him as he did have neither any legal identity, nor a health card, nor any possibility to get any governmental assistance. The writer has dissected her story in two greater segments – one set in Montreal, the capital city of the province Quebec and the other set in Toronto, the capital city of the province Ontario. 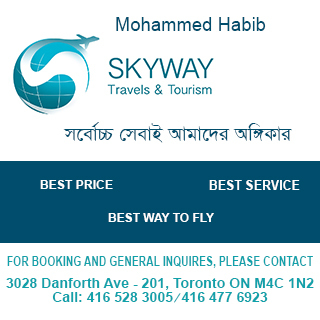 Immediately after landing in Pearson International Airport, Kabir rushes to Montreal being advised that it was easier for a refugee to obtain papers for legal residence. After his all-out efforts for years he fails to get that and later on decides to move to Toronto with a hope that getting legal status might be easier there. He tries out all the possibilities. Starting with fair ways, he gradually opts for unfair ones – he looks for one who can marry her and thus help him seek legal status but he fails. He also broods over the possibility if a gay marriage could rescue him from the disaster. He even tries to get locked with a prostitute who could marry him for the time being in exchange of some money. Thus Kabir dives down deeper and deeper and decides to surrender to the immigration police. In Montreal Kabir meets Mili, another refugee from Bangladesh. They two discover affinity as both of them are refugees, both are married and both had to leave family at back home. Gradually they realize that their struggles do have sameness and they do have similar experiences and feelings. After inhuman days they feel the humanly attachment for each other though that does not last long. On the other hand, while in Toronto, Kabir meets Doyel, a divorced Bangladeshi educated lady with similar tastes. Here also the same fate comes, both of the ladies fall in love with Kabir, but none of them agrees to be his life partner. In the novel we have met a good number of memorable characters including Dildar Mohammad, Chunnu Chowdhury, Parul, Montu, Riamoni, Amjad Chowdhury, war child Bijoy Alsen, his father Dr Vig Alsen, Pradip babu, Claudia, Enam Ahmed et el. Bani has sketched those characters in so realistic a manner that the readers can easily visualise them and here lies the craftsmanship of Bani. So far I have understood, a reader, even never being in Canada, can create that pictures in his/her mind’s eye. The whole book is mostly centred on Kabir’s struggles through the different phases to get ease in Canada. During the phases he meets many new peoples, goes through many new incidents and experiences many oddities. And thus Bani has sketched a real-life picture of the immigrant life of mostly the Bengalis in Canada. Though most of the characters of ‘Immigration’ are from the Bengali community, most of the associate plots are interlinked with that community’s thoughts and experiences, Bani has very skillfully interlinked some small events of other communities as well for which ‘Immigration’ turns into a Diaspora fiction not only of the Bengalis in Canada, rather of all the immigrants who opt this North American part as their future abode. Along with all those, Bani has inserted many Canadian stories into the main plot for which the novel has achieved a special height. The folk stories of Niagara water fall could be cited as an example in this regard. When Claudia cries out, “We are the first Canadians. This is our land. They are the poachers. They have snatched away our land unlawfully”, we can hear the sighs of many more communities living in Canada and thus the readers feel more empathetic with the overall story-line of ‘Immigration’. The publication ceremony of this truly worthy book took place on 22 June in Toronto. Chaired by Syed Muhammad Shahed, the former DG of Bangla Acdemy, the programme was addressed by Borhanuddin Khan Jahangir as the Chief Guest. Through this small piece I have tried to congratulate Salma Bani on her great achievement in fiction writing and poet Delwar Elahi on his positive attitude to me to invite to the publication ceremony. If Delwar did not do that, possibly, it would take more years for me to read a book by Bani. I am happy that with hundreds of major Bengali novels I am the reader who has also enriched himself reading one of the best Bengali novels of the new century. Moreover, I am elated that Bani, in her ‘Immigration’ has been able to articulate the similar largeness of the perspective that Debesh Roy has encompassed in his epic novels ‘Tista Parer Brittanto’ and ‘Somoy Osomoyer Brittanto’. The life that Bani has presented to her readers has a complete emancipation. It has many characters none of which seem incomplete. Its depth touches every reader, its narration satiates every mind and its language befits the demands of the context. 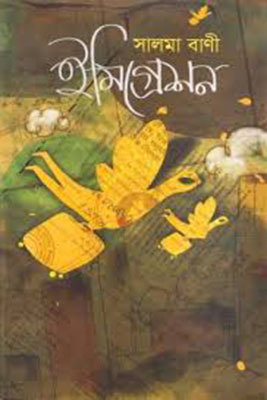 Hail to Salma Bani for her epic creation ‘Immigration’, one of the very few excellent novels that Bangla language has produced in the recent decades.